The phone was ringing. Sixteen year old Truett Gannon awoke in a strange bed in a strange city. His bed in Atlanta's Henry Grady Hotel was only a block up Peachtree Street from the Winecoff Hotel. The loud mayhem already underway there hadn't disturbed him but the phone call did. Groggy, he answered to hear his sister's voice describe a situation he could hardly believe: a fire, a friend injured, others unaccounted for. His help was needed. His sister urged him to pull himself together and get down Peachtree Street. Young Gannon walked up on the fire scene and became an eyewitness to America's deadliest hotel fire. Shaken, he made his way to nearby St. Joseph's Infirmary on Courtland Street. There he found his injured friend, Ed Kiker Williams. Ed told him of his narrow escape from the fire. He also told Gannon that he was certain his mother, Boisclair, and little sister, Clair, had already died before he'd fallen out the window and miraculously landed on a horizontal ladder stretched across the back alley behind the hotel. Together, through Ed's hospital room window, they watched the Winecoff Hotel continue to burn. When Gannon's sister arrived, she told him to go look for Ed's father, John, who was on his way from Cordele, Georgia, the hometown of both the Williams and the Gannons. She told him to take her car. Gannon found John Williams near the State Capitol and flagged him down to pull over. He faced the desperate father and said, "Mr. Williams, Ed is in St. Joseph's Hospital. It's on the left just up the street." Then came the question he couldn't find the heart to truthfully answer: John Williams asked, "What about my wife and daughter?" Gannon responded meekly, "Mr. Williams, I don't know." He knew from the look on Williams' face he'd failed the man. He felt also that he'd failed one of life's tests, that he'd been weak and self-absorbed when the moment called for strength and compassion. The ride home to Cordele with his sister was a quiet one. The trauma of what he'd seen at the fire scene, the enormity of the tragedy and the personal angst he felt weighed on him heavily. That night peace descended on Truett Gannon in an epiphany. He would make it up to John Williams, prove himself capable and worthy of guiding others through times of grief. He committed himself that night to becoming a minister. The next day in church he announced his intentions. Truett Gannon became an ordained minister in June of 1948. For the next four decades he served Baptist churches throughout Georgia. His strength became ministering to those grieving the loss of a loved one. But he rarely spoke of the roots of his calling to the ministry, and never publicly. Then in 1986, at the 40th anniversary of the fire, he explained in a sermon the impact of Dec. 7, 1946 on his life. Then in 1996, on the 50th anniversary of the Winecoff fire, Gannon told his story in a lengthy interview in the Christian Index, a statewide Baptist newspaper. And in 2007, when the Winecoff reopened as the Ellis Hotel, Gannon was there, blessing the building and offering a prayer for the survivors and victims' families, who had gathered there that evening. 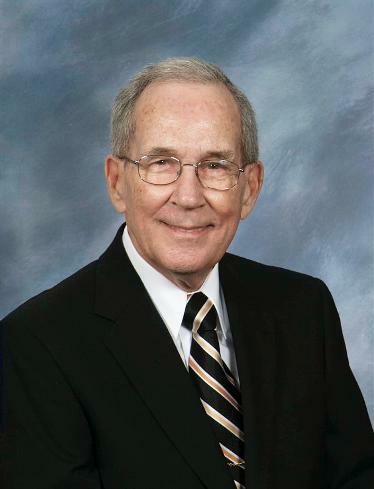 Today Truett Gannon, 80, is a retired Baptist minister and Mercer University theology professor. The Winecoff fire affected every eyewitness for the rest of their lives but few as powerfully as Truett Gannon.